Right now, the barriers for new brands and startups to enter the market have never been lower. Want to sell stuff online? Sign up for Squarespace. Start an Etsy account. Heck, log into Craigslist. And voilà, you’ve done it. You, and ten thousand others. With innovation at an all-time high, it won’t be your technology stack that sets you apart. And often times, it won’t even be your product. It will be how you made people feel. It will be your brand. So if your brand fails, your organization will likely follow suit. Which means you need regularly evaluate and measure the health of your brand. Here’s a fun game. Flip on your TV and watch a few commercials. Can you guess the brand before the final logo appears on the screen? What does a Nike ad feel like compared to an Apple ad? What about Progressive and Geico? The point is, your brand should have a distinct tone. And while the aforementioned companies are household names, the brand is not just reserved for just the enterprise giants of the world. Every product—no matter how small—should be thinking about the brand. To determine whether or not your brand is thriving or struggling, ask yourself and your marketing team these questions. If you come back with a lot of “yes” answers, you’re in pretty good shape. On the other hand, receiving a few “no” answers might be a sign to consider reinvesting in or redefining your brand. Think of your brand as a person, with a personality all its own. What comes across when your brand opens its mouth? Is it bold? Refreshing? Trustworthy? Or better yet, is the voice distinguishable from the other players in your space? As I mentioned before, the brand is your most valuable currency—don’t settle for cookie-cutter platitudes that blend in with the crowd. So here’s a test. Go to your “About Us” page. If you don’t have one, take your mission statement. Then do the same for your competitors. Can you tell which copy belongs to which brand? Where are the differentiators? Think about your prospects. If they’re reading all of these mission statements and About Us pages, why would they choose you over the competition? 2. Does Your Brand Clearly Articulate Its Reason for Being? No, this doesn’t mean “selling fans” if you’re a fan company. Your brand’s reason for needing to think bigger than that. It needs to state the effect you want to have on the world. Why your brand exists. And what it’s trying to accomplish. 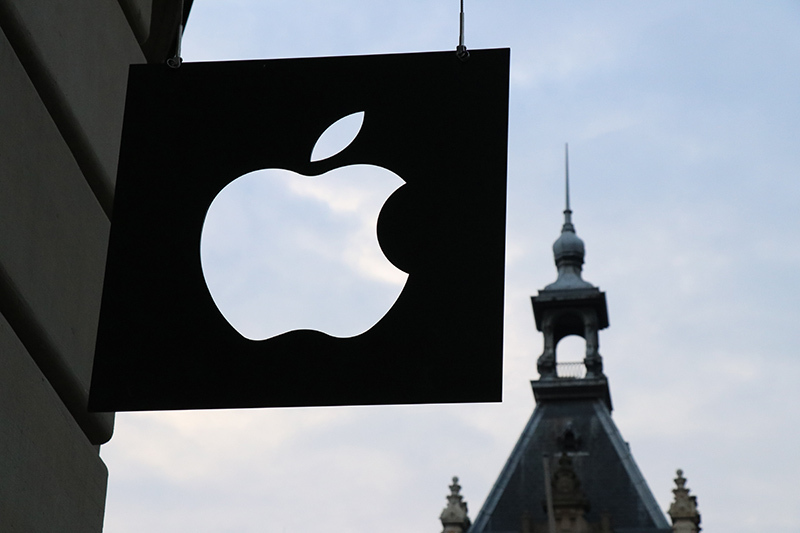 The example we often look to—and with good reason—is Apple. In Simon Sinek’s Ted Talk he covers finding your brand’s why and how it can inspire others, using the fruit’s “Think Different” campaign as an example. Apple does things differently. And they also happen to sell computers. 3. Do Your Employees Understand—and Believe In—your Organizational Vision? This point matters because it relates to brand affinity, advocacy, and stewardship. When your employees are engaged, they’re your biggest fans—and they know how to sell others on your vision. Their connection can help you find great leads and clients. And finally, creating a brand your employees truly believe in will help attract top talent while building upon the brand’s internal culture. 4. Do You Know Who You’re Targeting? Does everyone know who your brand is targeting? Are your sales team and marketing team aligned? Identifying your audience is one of the first things you have to do to communicate your brand properly. Don’t know who you’re talking to? At best, you’ll end up with a bland message to appease anyone (not ideal). At worst, you’ll end up offending them (even less ideal). Think about it this way. Would you use the same language or tone in a birthday card for your grandma and your college buddy? Would you even use the same card? Probably not. 5. Does Your Internal Perception Match Up To How It’s Seen In the Marketplace? Unfortunately, it’s not uncommon for these to be misaligned. If you see yourself as innovative, but your customers only see your poor customer service, you have some work to do. Maybe your story isn’t coming across to your audience. Or maybe you have a major product issue you need to address first. Whatever the issue, make sure that the two are aligned. 6. Is Communication Consistent Across Channels? Aggressive and authoritative on social media, pastoral and calm across your website, and bland and voiceless in your email marketing. You can give a prospect whiplash by switching voices and style from one advertisement to the next. Once you know your voice, make sure you’re hitting it across all mediums. Now, there will be times when the copy or specific content is truly focused on conversion. That’s okay. But keep in mind that your audience will struggle to connect and resonate with an inconsistent brand. Consistency also applies to visual assets. If you’ve updated your logo or color palette, make sure all assets are up-to-date, otherwise, you risk looking bush league and unprofessional. 7. Do You Have a Following? If your brand is truly thriving, you’re going to have some fans. Social media – Do you have a strong following? Does your audience engage in conversations with you? Do they care what you have to say? NPS surveys – Would your audience recommend your products to a friend? Repeat purchasers – Do people buy from you once and never again? Is your customer lifetime value strong? Outside publications – Do news sources or authoritative blogs cover your product or service? Let me be clear: this one isn’t easy. The competition is tough and getting people to actively mention and recommend your brand can be a challenge. But those that can generate a following will gain a source of currency that money can’t necessarily buy. Your brand is your voice, the chief way you communicate with your prospects, customers, and employees. And likely the most important facet of your marketing. If your brand is failing, everything else will suffer. Going forward, research what others are doing in your industry. How are they differentiating themselves? What makes you different? Who should you be talking to? And once you can answer those questions, ensuring consistency in message and tone will go a long way. Your brand is more than a tagline. Don’t neglect it. 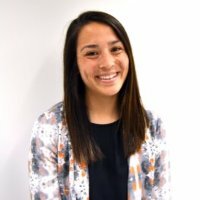 Mollie Kuramoto is the Content Marketing Specialist for Element Three, an Indianapolis-based full-service marketing agency that works across channels to build discernible brands. When she’s not creating killer content, Mollie’s usually coaching soccer, traveling, or drawing.